I don't know about your kids, but mine have enough toys. We have a play room full and now they are starting to take over their bedrooms and this is after donating a ton! I honestly don't know how they get so many, we are just very fortunate to have a lot of people in our lives that buy for them. But I have been thinking of moving to something different this year instead of toys. What if there was a way to help them learn to invest instead of cluttering our home with more stuff they don't need? I have been trying to teach my daughter about earning her own money. Right now in the US, only 7 states require high school students to pass a basic finance test in order to graduate. The lack of financial education in schools are the major reason young Americans aren’t prepared to invest in their futures. But 89% of parents say tying allowance to chores is good training for the real world. For younger investors who are trying to take an active hand in managing their money, the first step in achieving financial freedom is to invest. It's the only way to creating a life that isn't completely dependent on a paycheck. Insert BusyKid. 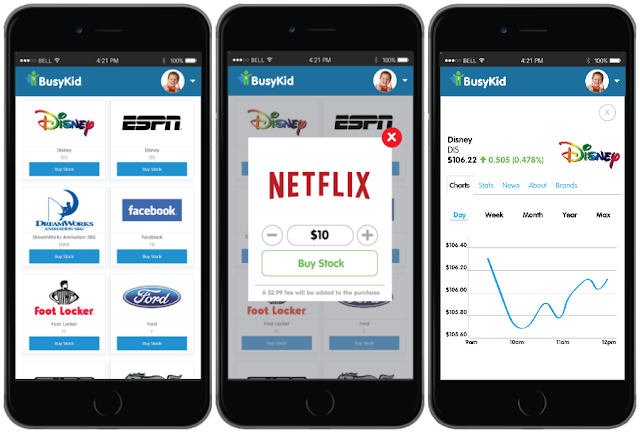 BusyKid is the new and easy way for you to get your children busy around the house and closer to being financially smarter. BusyKid introduces children to chores and allowance in order to develop strong character and prepare them for a lifetime of financial decisions. For only $14.95 per family a year your children can earn, save, share, and invest real allowance - plus you get the first 30 days free. Learn The Game - Investing can be a risky game. However the best time to learn how to play is when you are young. The amounts you invest are generally smaller and if you make mistakes, you have plenty of time to make up for them. There is no lack of information available on how to invest in stocks, so read up! Earn Your Stock - Let your children earn money to invest by completing chores around the house. By using BusyKid, your children can automatically turn their allowance into investments. Don’t Fear Mistakes - It’s bound to happen. You pick the wrong stock, pull out too soon or too late. Maybe you lose all you invested. Don’t sweat it. You’re not the first to do it and you won’t be the last. The good news is you are young and able to rebound from whatever happened. Just don’t quit! Have Fun - Investing can be fun because unlike having your money in a bank account, you can watch your money live in the market. Follow your investments weekly to see if they go up or down. Then when you think the time is right, sell the stock and start all over again. Family Affair - Make investing a family affair or contest. Let each family member the ability to but two or three stocks, then over a month, have a contest to see who does better. You can even spend time each night at dinner discussing how the market did and who is winning. To help your child go a step further in learning how to manage their money, add a BusyKid Spend Card (rechargeable Debit Card) for just $5 per year. 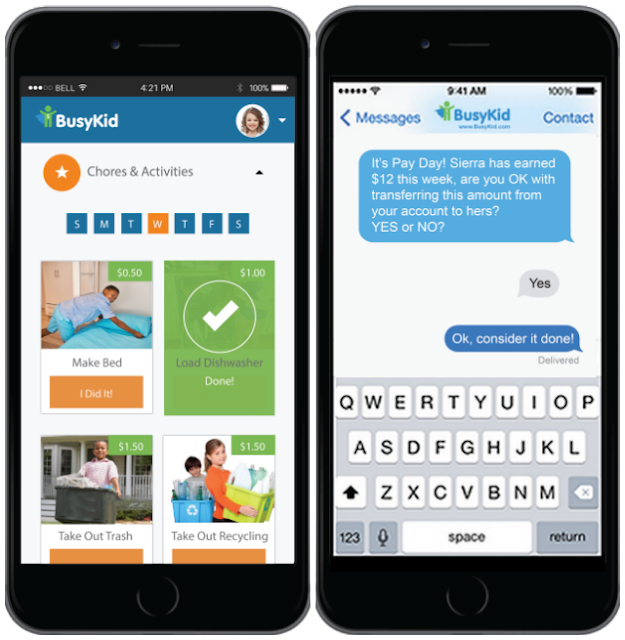 BusyKid Spend Card allows child to spend allowance in-stores or online, or transfer fund to other bank accounts. 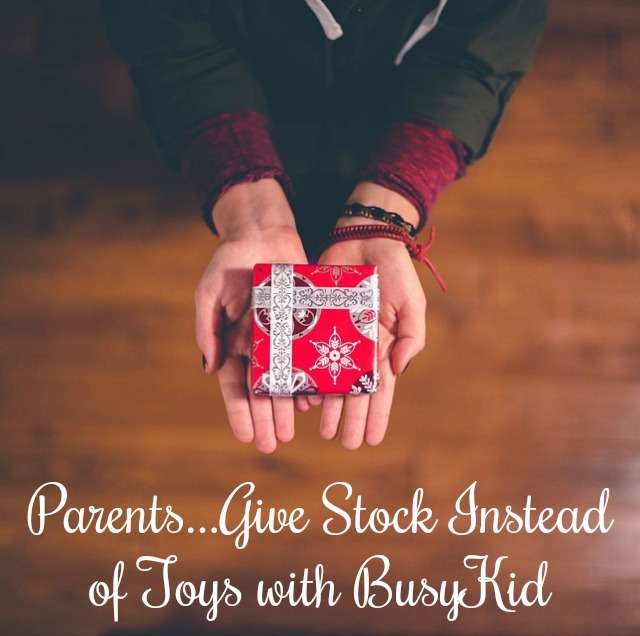 Kids can still buy gift cards and stock through BusyKid, plus they can make direct donations to several charities! And for a limited time, 2 kids of each new family will receive a free $10 stock. What do you think about teaching your child about investing? What do you think about giving stock instead of toys? What do you think about using BusyKid as a rewards for doing chores? Wow! I have never heard of this. I think too often state and federal mandates have changed what should be taught in school. Financial literacy is so important. I'm going to remember this for the future, we have just started thinking about chores and allowance.